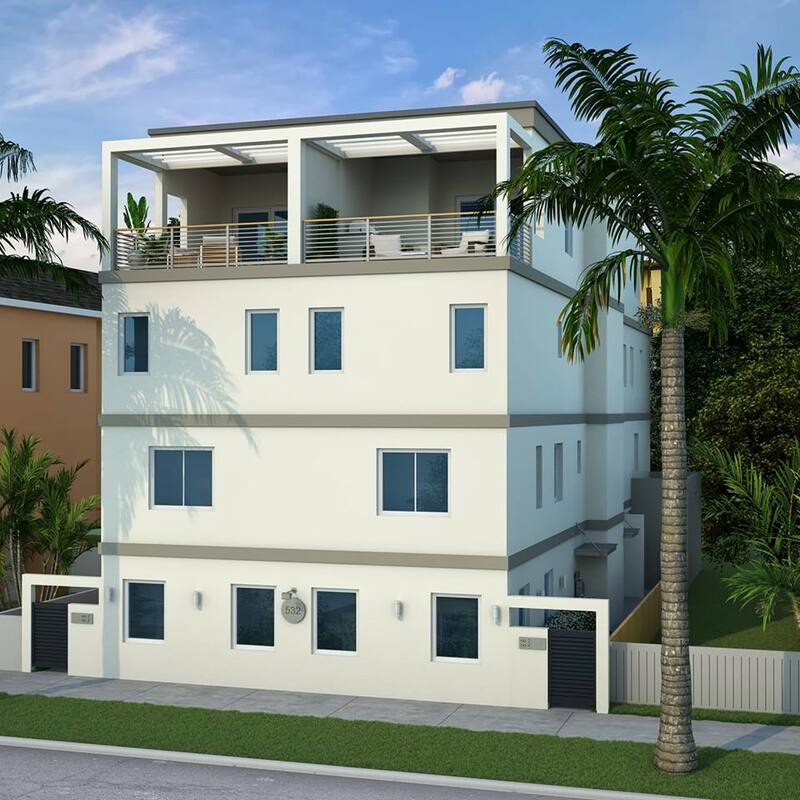 ST. PETERSBURG, Fla. — Downtown St. Pete’s first “smart, luxury, responsible” townhomes – Sabal Smart Homes – will open its first multi-unit residential building this March. Construction is underway on a second building, which will open by year-end. Located at 532 Fourth Avenue South in downtown St. Petersburg (33701), the high-end, high-tech, high-efficiency, four-floor units, include a spacious rooftop covered lanai and open deck, with such options as: rooftop alfresco kitchen, outdoor hot tub, in-home private elevator, electric car charger, and a connected-home “Einstein Package.” Each customizable unit has three bedrooms, up to three full-baths, two half-baths, and a one-car garage. The developer is Salt Palm Development. Sabal residents are four blocks from the waterfront and such attractions as The Dali Museum and Mahaffey Theatre. The popular location affords easy access to the Waterfront Arts, Central Arts, Edge, and Innovation districts, as well as Tropicana Field, and Johns Hopkins All Children’s Hospital. Salt Palm Development will make several announcements in coming weeks and months, largely involving its work as a “Benefit Corporation” – including significant beautification projects and efforts to promote the global “B Corp” movement in St. Pete and Florida. Salt Palm leaders have deep industry experience with various facets of business and development, as well as significant philanthropic and community endeavors. Salt Palm is a member of 1% For The Planet and is formalizing several other partnerships related to corporate responsibility, globally and locally. About Salt Palm: St. Pete-based Salt Palm Development is dedicated to creating high-end residential, sustainable, responsible developments for the Tampa Bay region. The company focuses on high-quality and high-functioning designs, and makes business decisions considering environmental and societal impacts. More information is available at SaltPalm.com and TheSabalStPete.com.